Waxahatchee News — Waxahatchee 'Great Thunder' is available now! 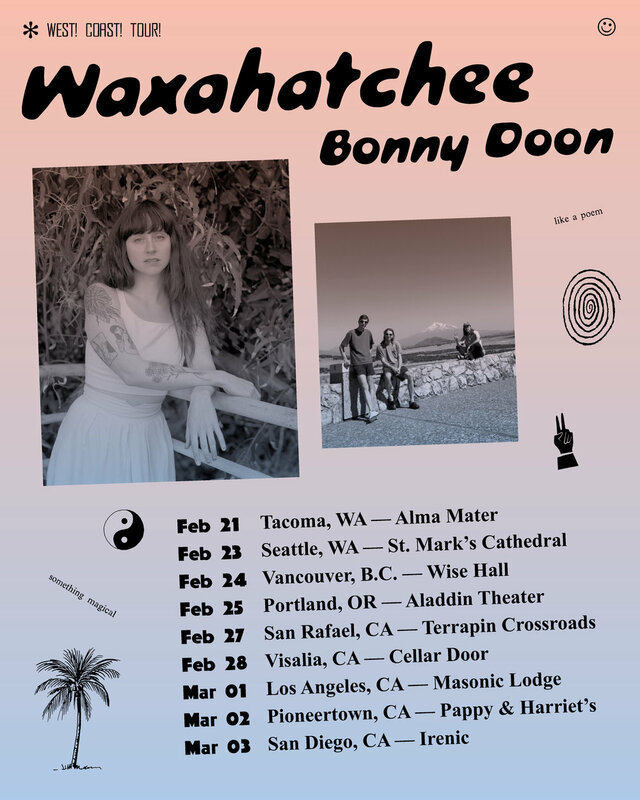 West Coast Tour with Bonny Doon! I’m so excited to announce this west coast tour with Bonny Doon. they are, and have long been, one of my favorite bands making music right now. For this tour they will join me on stage as my backing band which will be a really cool reimagining of songs new and old. I’ll be taking a little time off the road to write so this tour will be a great last round of shows for a while. Today, Crutchfield shares Great Thunder’s release details as well as a music video for the solemn “Chapel of Pines,” directed by Christopher Good and starring Crutchfield and Kevin Morby. Watch and share, then pre-order Great Thunder on CD, 12-inch EP, and limited-edition opaque yellow Peak Vinyl in the Merge store, or digitally. Crutchfield will take Waxahatchee out on the road solo for the remainder of the year, first at headlining shows in September before linking up with Courtney Barnett through October. A full list of announced dates can be found below.